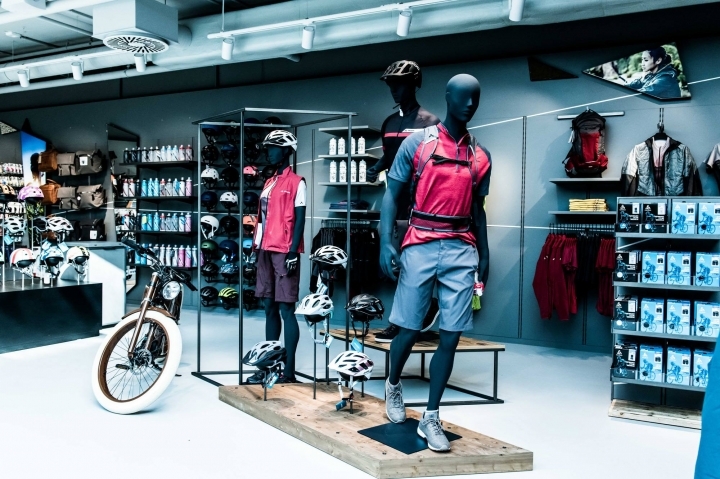 L&T encourages repeat visits at its north Germany Sporthaus with adventurous and interactive features. 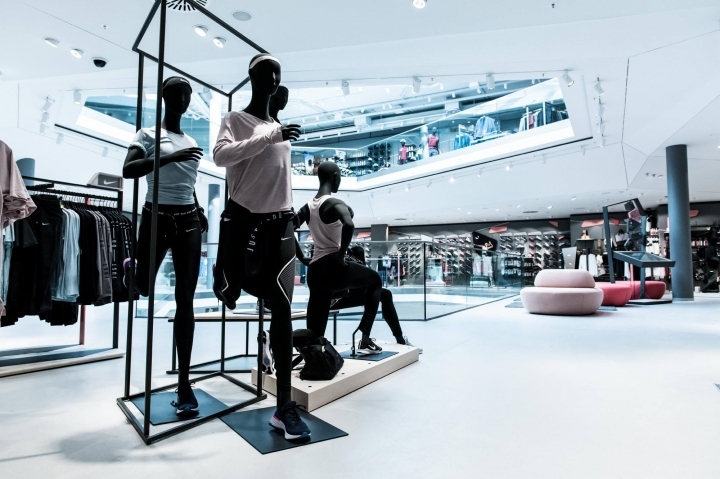 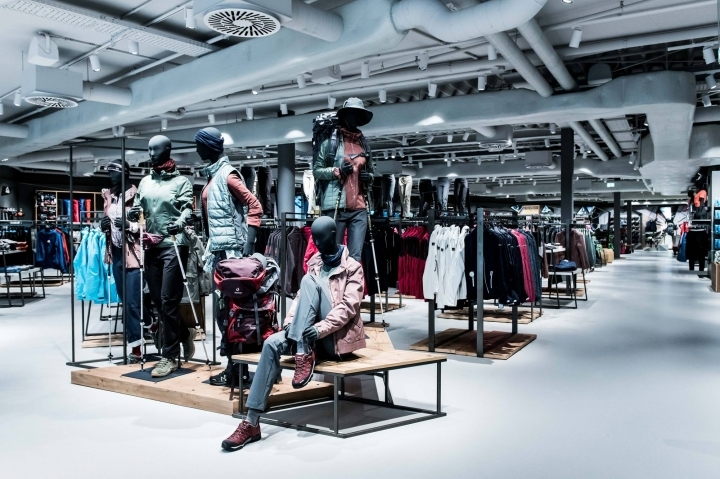 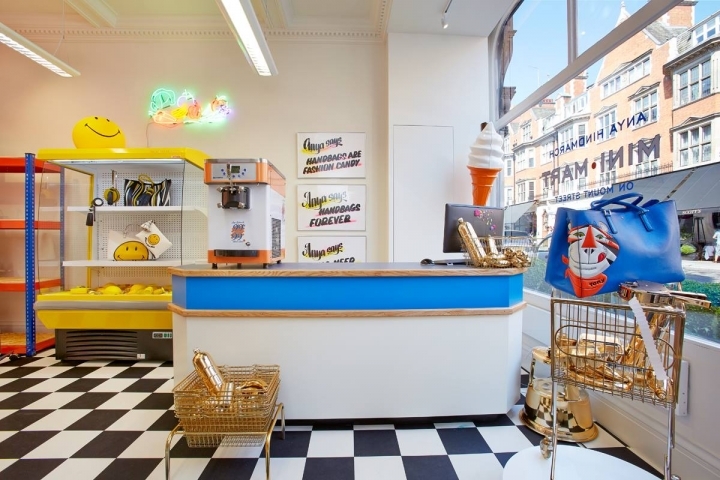 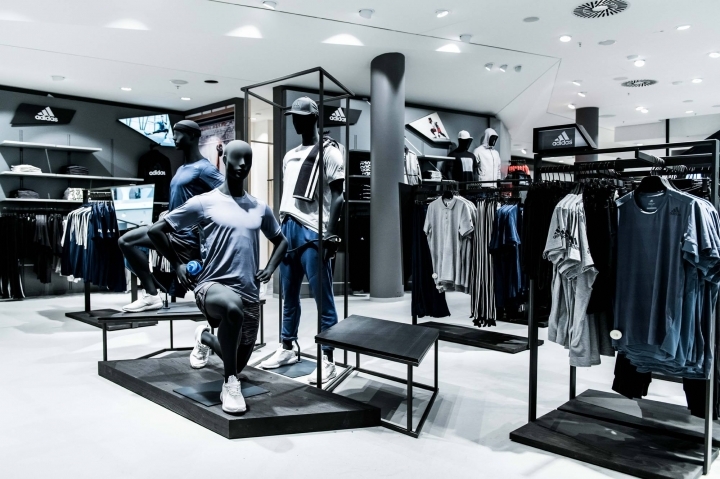 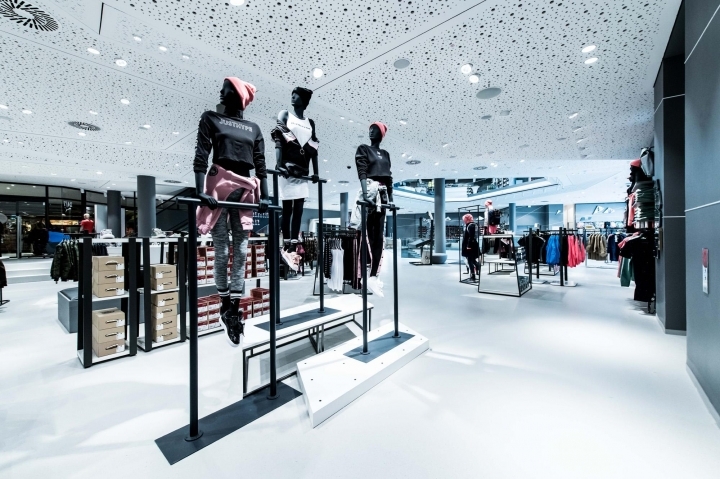 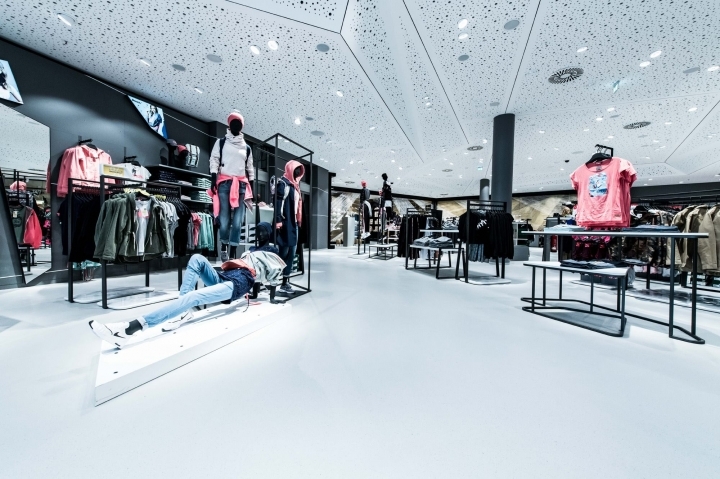 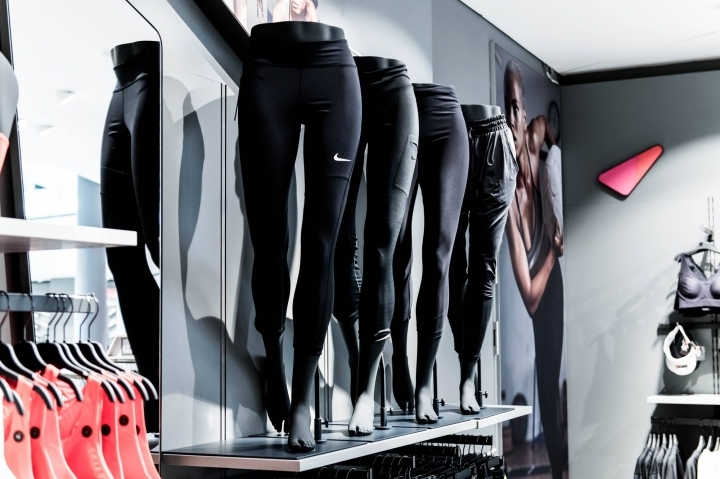 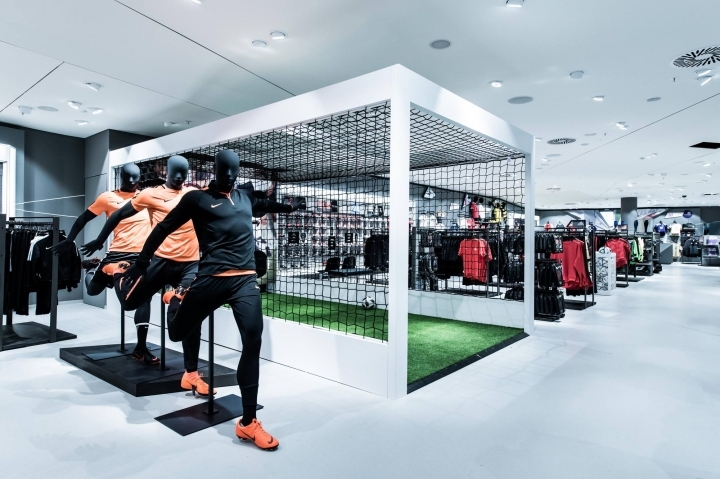 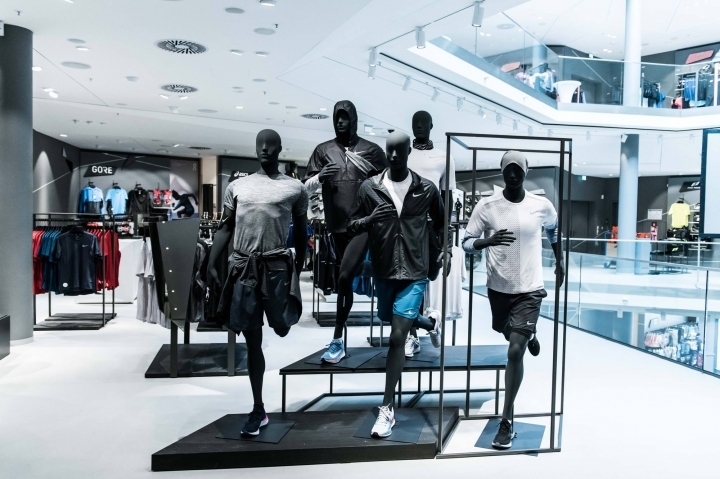 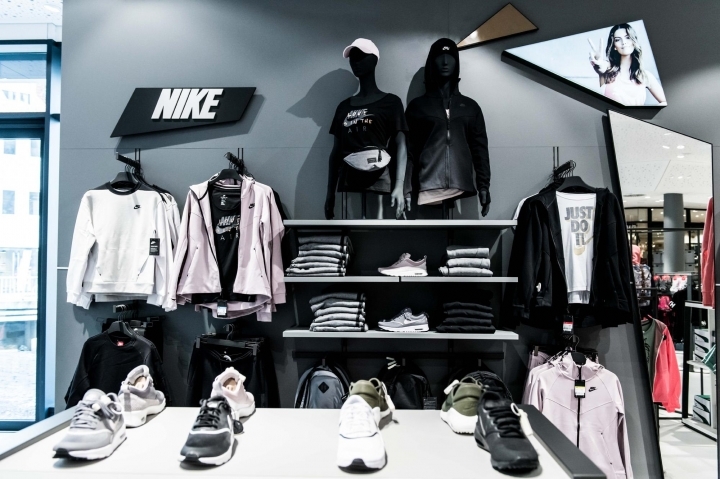 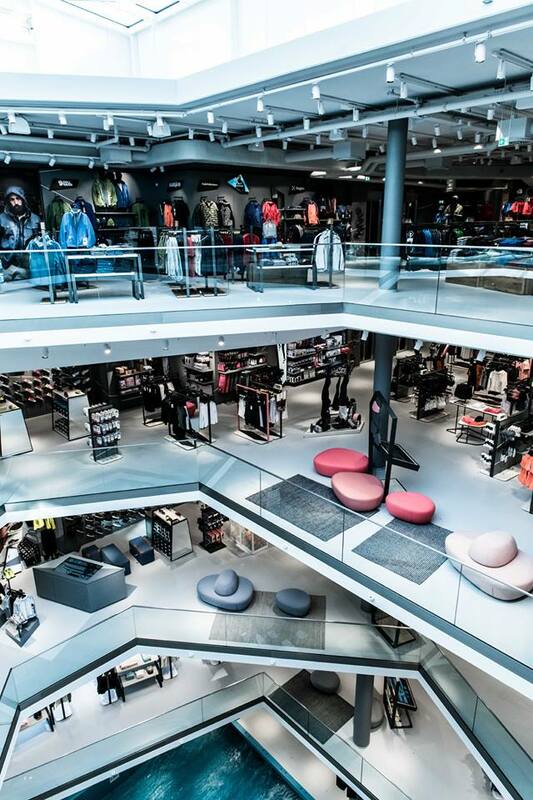 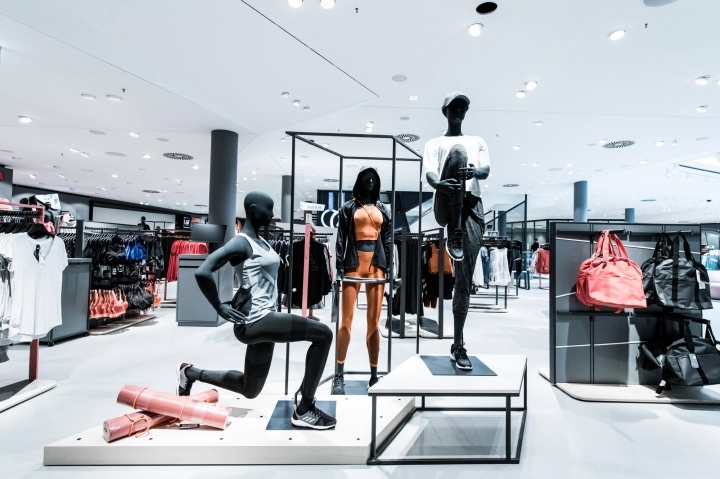 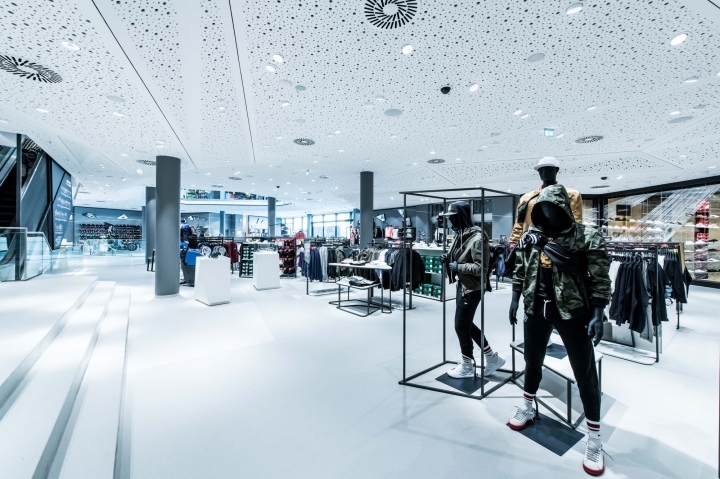 In March, German shopping mall L&T debuted Sporthaus, a first-of-its-kind immersive activewear store in its Osnabrück hometown that takes shoppers on a thrilling journey with loads of return appeal. 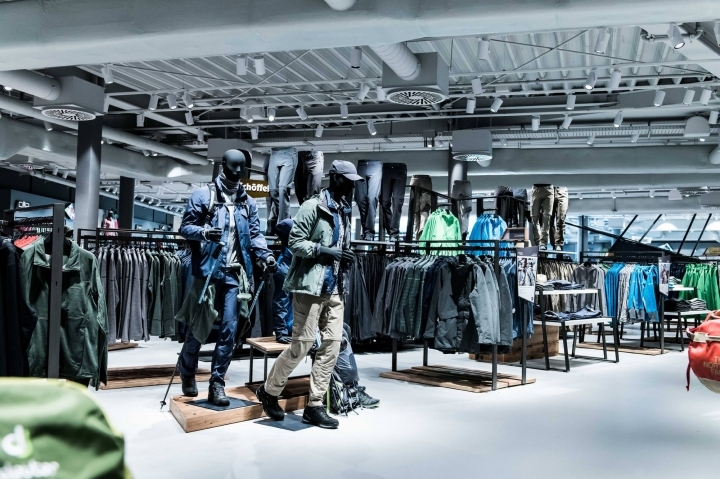 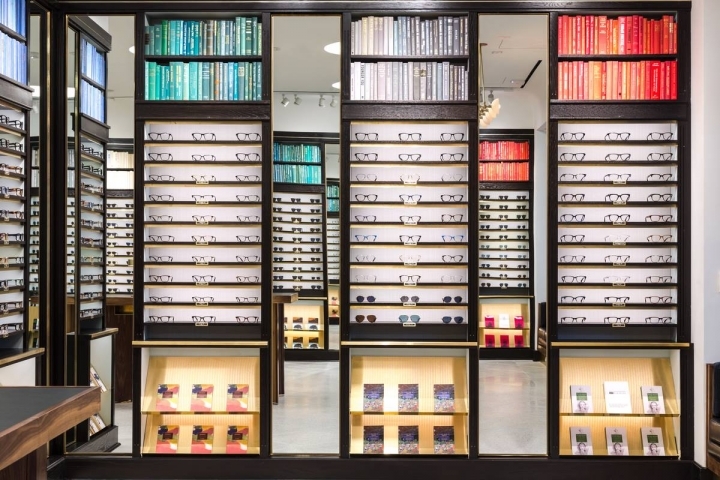 The nearly 54,000-square-foot store – a significant upgrade from its prior small sports department – is split between five floors, offering everything from technical athletic wear for adventure sports (skiing, rock climbing and backpacking) to beach and swimwear to everyday men’s and women’s workout and athleisure apparel. 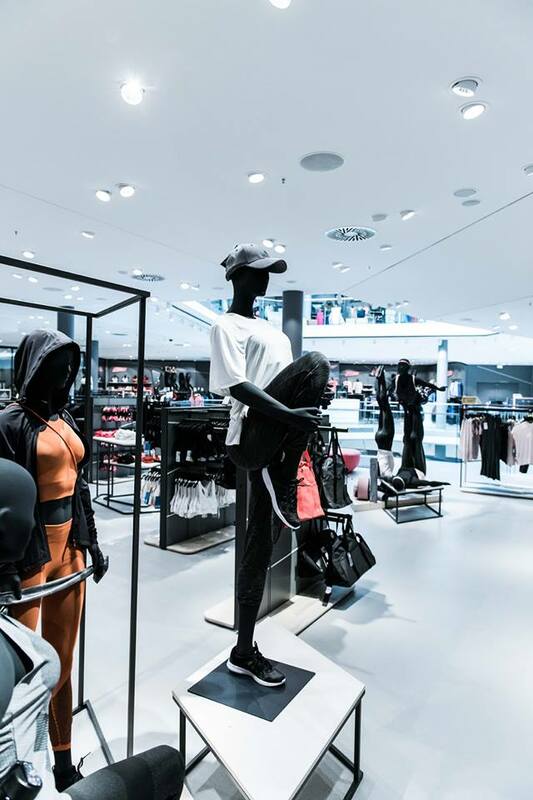 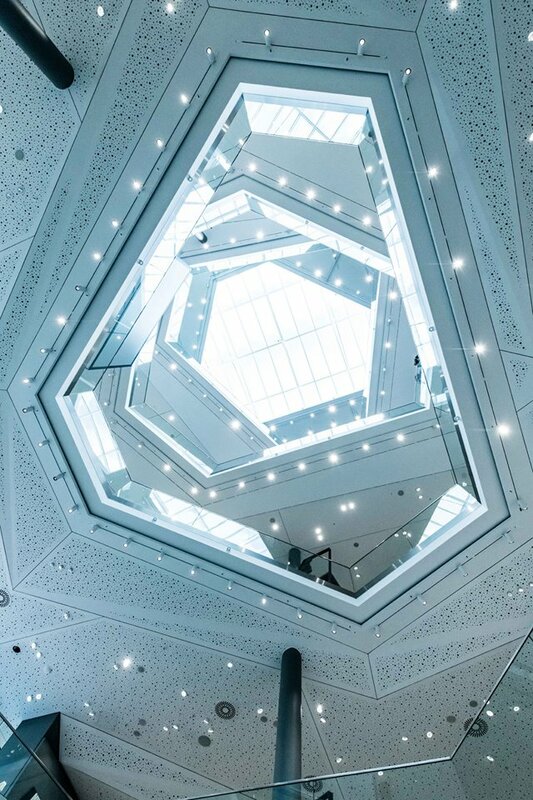 Leading the charge for an edgy, modern feel that captured its theme of “speed, action and movement,” L&T’s internal design team opted for a primarily white, gray and black color palette and geometric shapes. 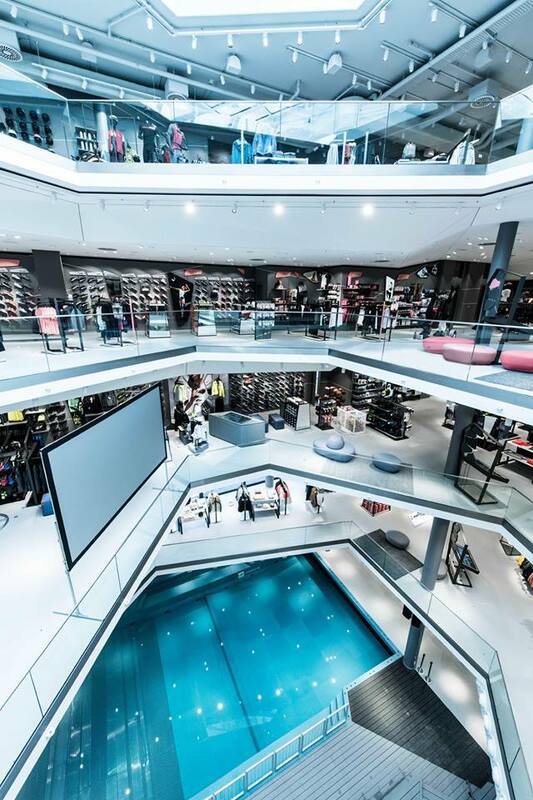 Each of the top four floors contains alternating polygonal shapes that open into a center atrium overlooking the store’s showstopping feature on the lowest level: a fully functional wave pool where shoppers can sign up to partake in indoor surfing or spectate in the 200-person capacity stands. 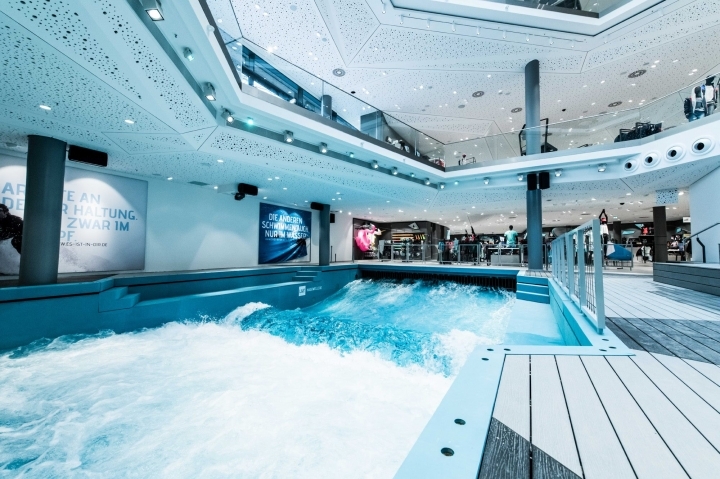 The pool uses “deep-water” technology to churn out 4.5-foot-tall endless waves at a relatively low pressure – ideal conditions for beginners of all ages. 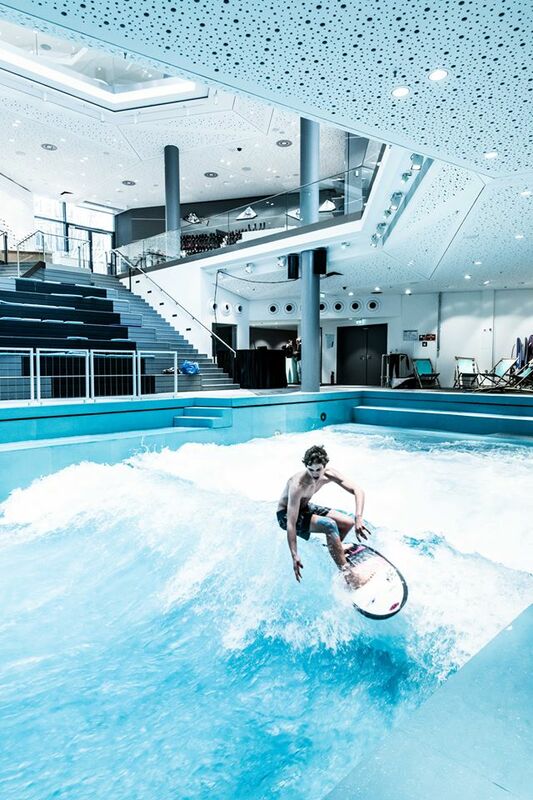 If desired, the entire wave pool area can be covered and converted into an arena for other sports, such as basketball, badminton, football and more. 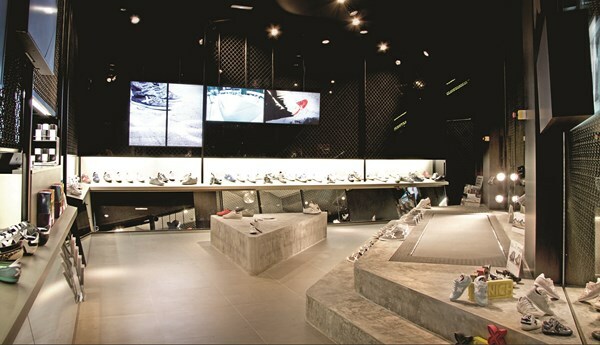 Driving everyday visits, L&T incorporated a full-service, 8611-square-foot, members-only gym, called City Gym, with luxury features such as a sauna and rest area, individualized training and altitude-simulated training (reportedly lowering impact and boosting results by mimicking the conditions of training in the Alps, at roughly 2500 meters high).